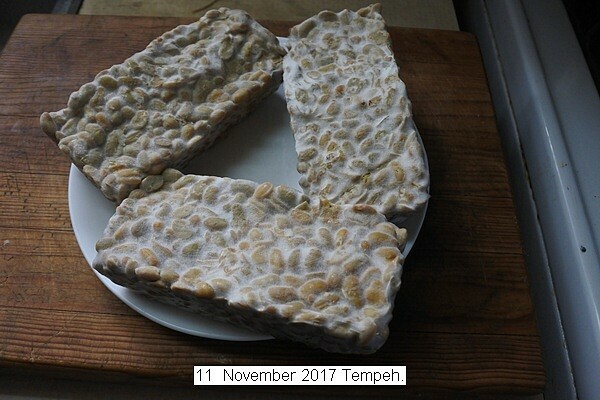 Tempeh fermented for 30 hours. A teaspoon of molasses and a teaspoon of apple vinegar was added to enhance the fermenting, which it did as evidenced by the vigorous mycelium growth. This is about a ten day supply for one person, a slice a day.